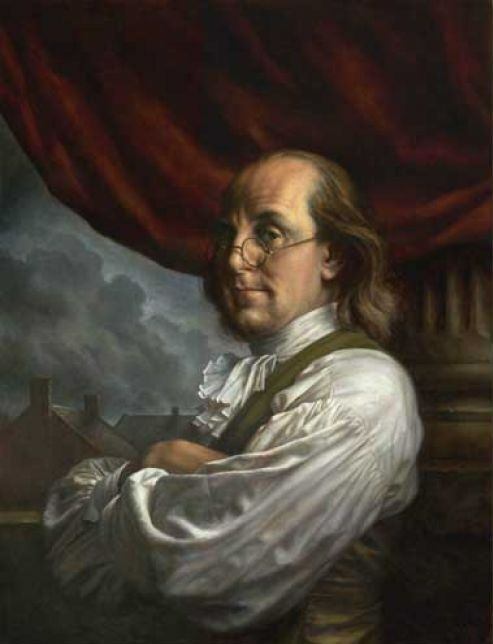 On this day in history, July 26, 1774, Ben Franklin becomes the first Postmaster General of the United States. As tensions with Great Britain came to the breaking point, British authorities began using the colonial postal service as a weapon by monitoring mail and even shutting down routes between certain cities. William Goddard was a newspaper publisher whose sister, Mary Katherine, later was the first person to print the Declaration of Independence with the signatures of the signers on it. In 1773, the Goddards' papers were starting to feel the effects of the censorship and their Pennsylvania Chronicle was forced to shut down. Instead of giving up, William decided to start his own postal service apart from the Royal postal service. William traveled across the country and, with the advice of Ben Franklin, set up a series of 30 post offices from New Hampshire to Virginia. Ben Franklin had long been involved in the colonial postal service, having first been appointed as postmaster of Philadelphia in 1737. He later rose through the ranks and became joint postmaster general for all the colonies. In this position, Franklin streamlined everything about the postal service, cut delivery times in half, established regular delivery schedules and posted the first profit for the service in its existence. When the Continental Congress met for the first time in October of 1774, one of the first issues the representatives discussed was the postal system. Conveying messages between the colonies reliably was obviously of utmost importance. Goddard presented his entire plan to Congress, but action was not taken on it until violence broke out at Lexington and Concord in April of 1775. Ben Franklin was appointed to research the possibilities and he recommended that Goddard's plan should be adopted and absorbed by the Continental Congress. 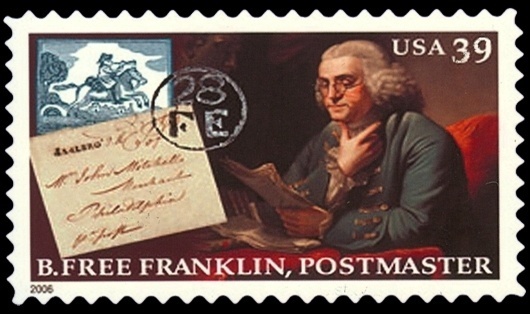 On July 26, 1775, Congress agreed to adopt the new postal system and appointed Ben Franklin its first Postmaster General. Goddard felt snubbed at Franklin's appointment, but he was appointed the postal system's Surveyor instead. Franklin's son-in-law, Richard Bache, became the Comptroller, and Franklin's second in command. When Ben Franklin was appointed Ambassador to France in 1776, he stepped down from the post office and leadership transferred to Bache. The American postal system today was built on the foundation of Goddard's and Franklin's leadership and remains to a large degree in the form which they built during the American Revolution.